Continuing education targets adults already in employment who wish to extend their range of professional skills. It also addresses job-seekers and persons wishing to retrain in the watch sector. Courses are delivered by specialised training centres. A number of training centres offer professional development courses in polishing techniques. 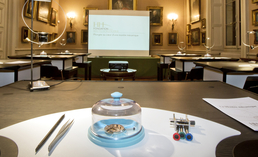 The Fondation de la Haute Horlogerie delivers training in sales techniques and basic knowledge of watchmaking to sales and marketing professionals. Also: Adults who have successfully completed initial vocational training and who wish to retrain in a new area can complete the second training course in one year less than normal (see initial vocational training for young people). Advanced vocational training qualifies individuals to practice complex professions with a high level of responsibility. Holders of a federal VET diploma with several years' on-the-job experience can obtain formal attestation of their skills by sitting the federal professional education and training diploma (brevet fédéral) in their area of specialisation. This will qualify them for jobs with a higher level of responsibility. Courses at higher vocational colleges (écoles supérieures) are open to holders of a federal VET diploma or an equivalent qualification. In watchmaking, they lead to a federal technician's diploma. These tertiary-level courses can immediately follow on from initial vocational training or be taken after several years' on-the-job experience. 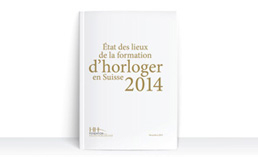 Also : Holders of a Swiss school-leaving certificate (maturité gymnasiale) can enrol on a Bachelor's programme at a university of applied sciences after one year's on-the-job experience in their chosen field, or in the first-year Bachelor's programme at École Polytechnique Fédérale de Lausanne.